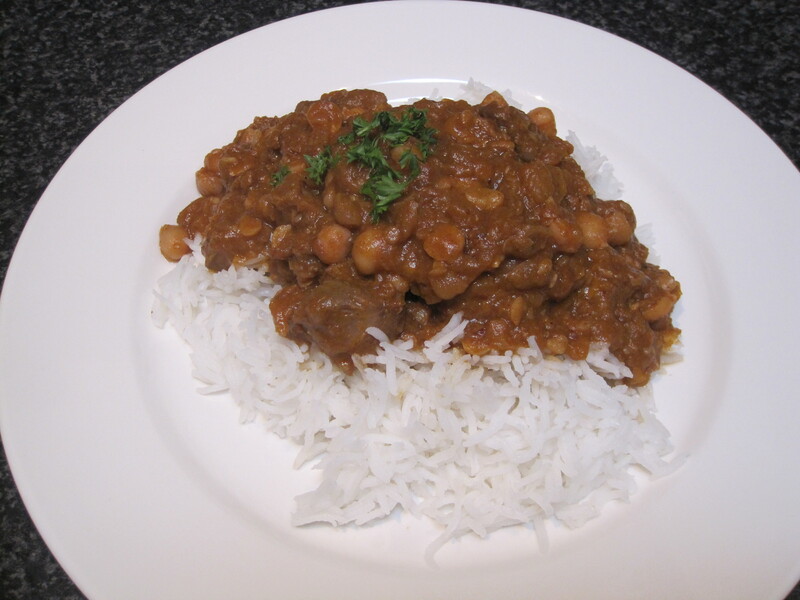 If you cook fragrant curries in your Thermomix on a regular basis, you may sometimes notice your bowl retains some smell. Don’t worry, there won’t be any flavour transfer due to the non porous bowl. If there is a smell, it’s the silicone on the lid seal that is retaining it, not the bowl. Thermomix recommends replacing your lid seal every 2 years. They are $15 and can be purchased from me, your local consultant or on the Thermomix website. To avoid the smell, it’s a good idea to air out your seal overnight, after you have cooked a fragrant meal. 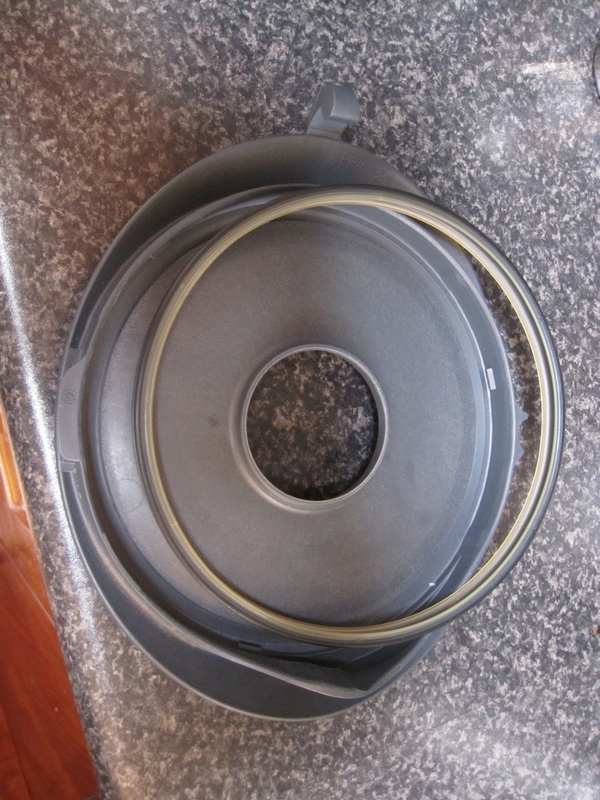 I’ve just replaced my lid seal this week, after using my Thermomix many times every day for over 3 years! 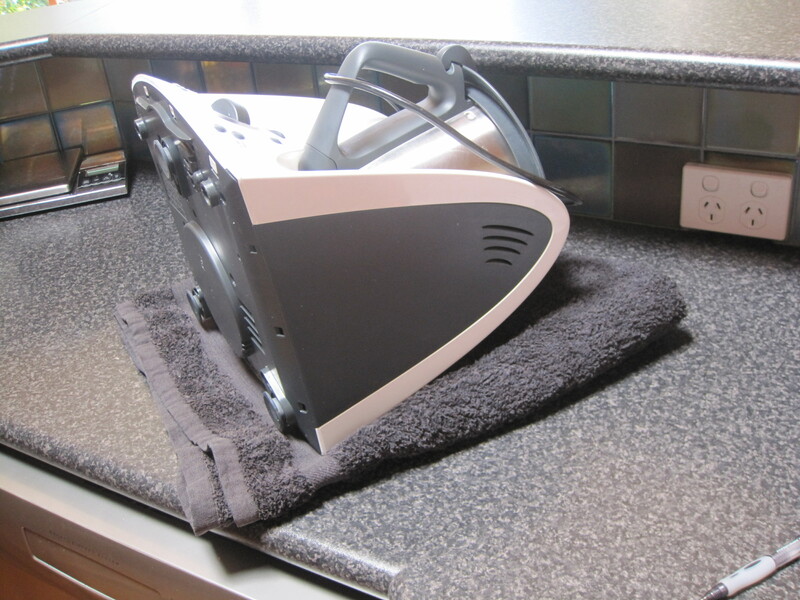 If you plan to travel with your Thermomix, or move it between houses, here are a few tips to provide extra care for your machine. 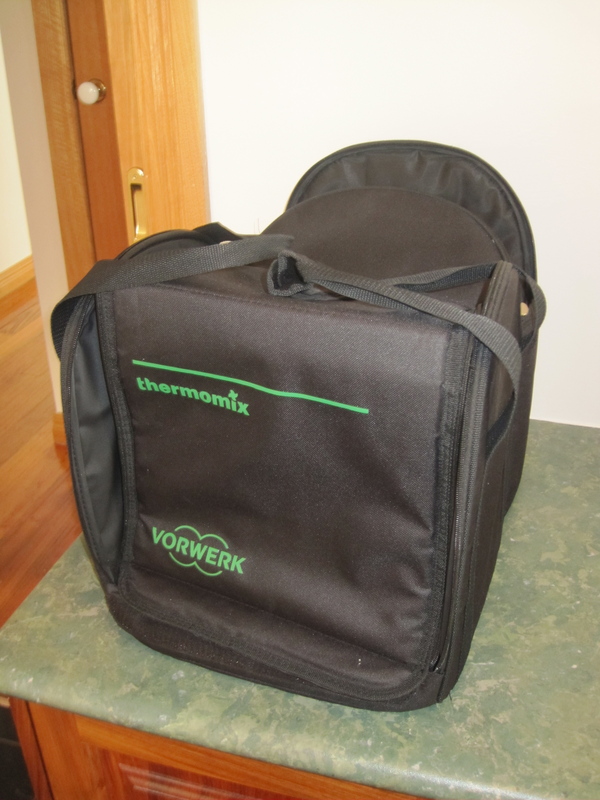 We do sell a carry bag specifically designed for transporting your Thermomix. The black bags are $120. They can be purchased through me, or on the Thermomix website. 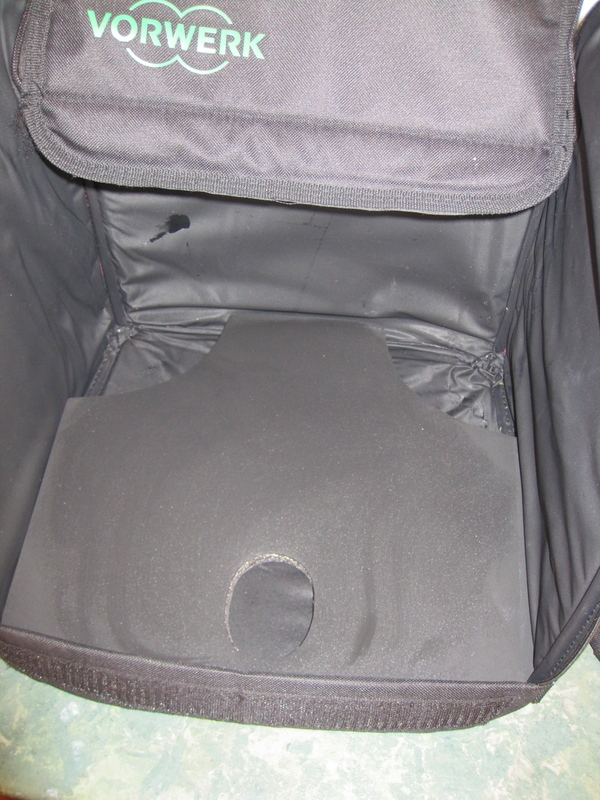 The bag has a special base designed to protect the scales, so is a worthwhile investment if you plan to transport your machine on a regular basis. 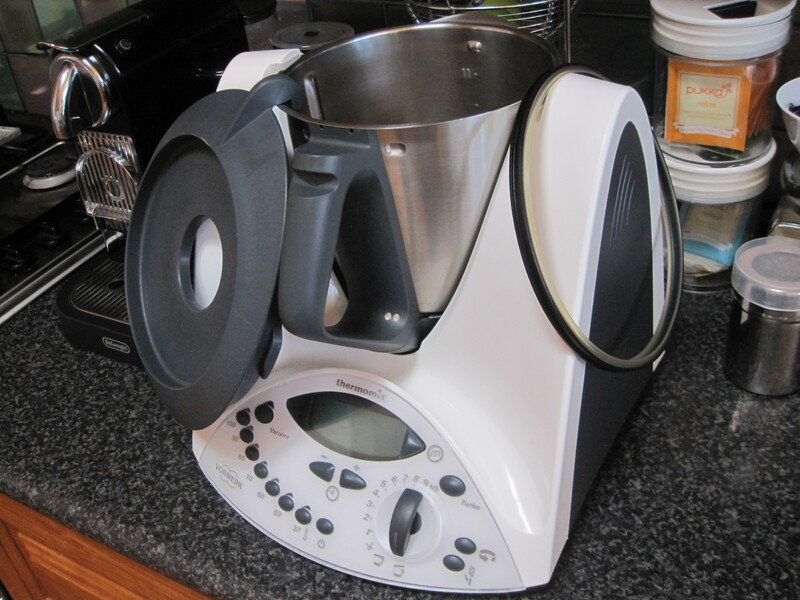 If you’re transporting your Thermomix without a carry bag, lay the machine on it’s back. As you would know from my delivery briefings, the scales on the base of the machine are very delicate & should be protected. This way there is no pressure or movement on the scales. 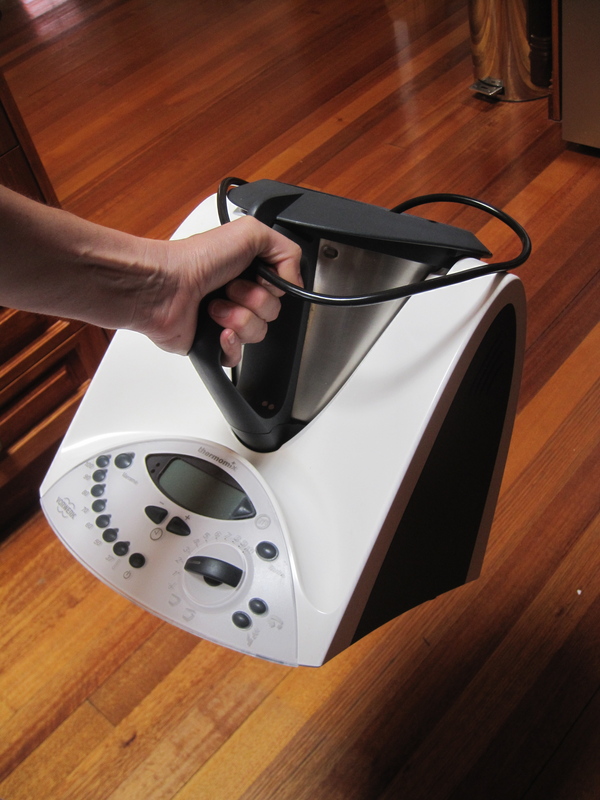 I was recently shown a very easy way to carry my Thermomix. 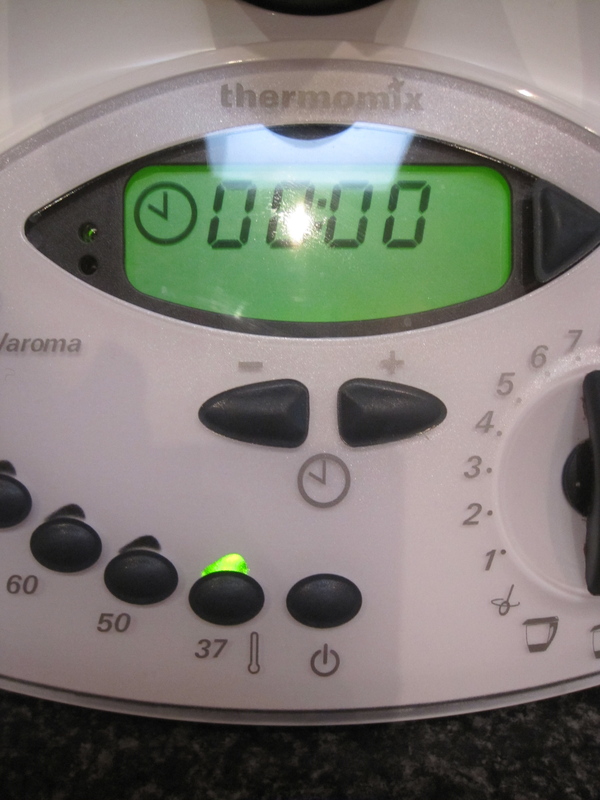 Make sure the lid is on & the dial is turned onto any number on the speed settings (which locks the lid & bowl in). Then just pick up by the handle! Can you imagine making traditional creamy ice cream, with no additives & preservatives? First of all, it’s delicious & so easy to make. Second, home made ice cream is great for kids. Although it’s still a sweet treat, the fact there are no additives will help control their sugary ‘highs’. 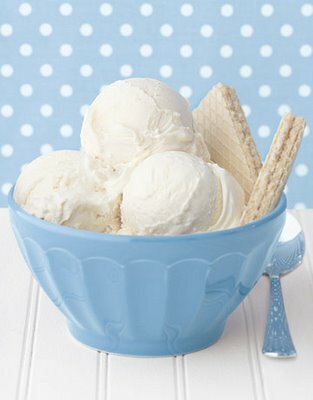 This recipe is for Vanilla ice cream & I’ve added a few optional ingredients to add to this base. 1) Place all the ingredients into TM bowl & cook for 5 minutes/80 degrees/speed 4. If you would like to add variations to traditional vanilla (listed below) add now & mix 10 seconds/speed 5 before proceeding to the next step. 2) Place mixture into a stainless steel bowl, cover with cling wrap & place in the freezer for 8-10 hours (or overnight). 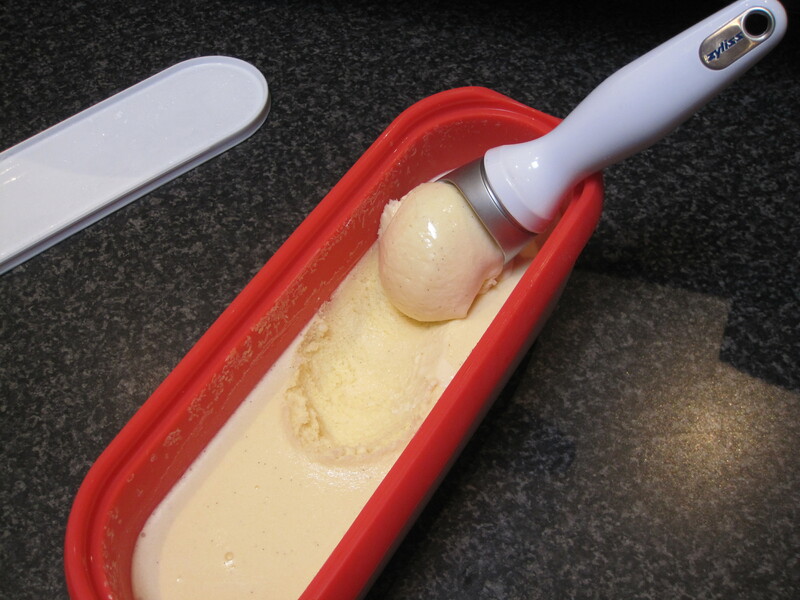 3) Take the ice cream from the freezer, cut into the ice cream & spoon back into TM bowl. 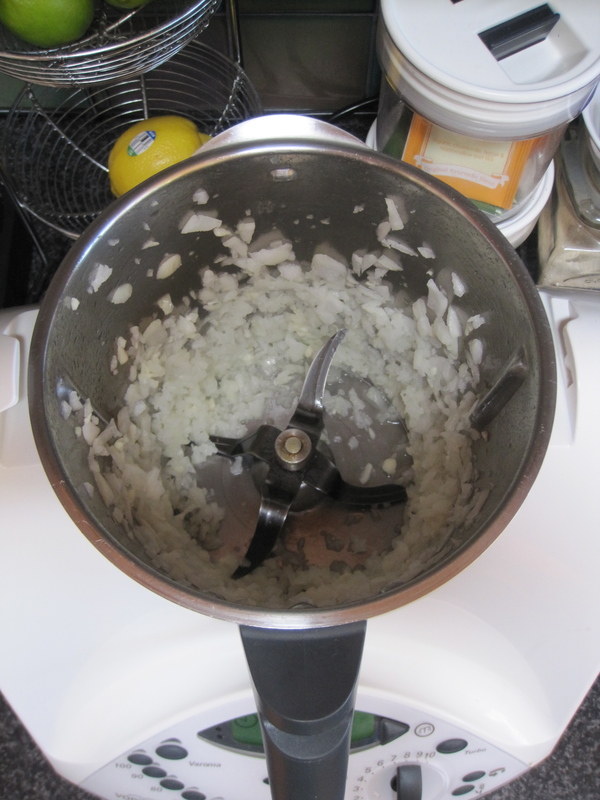 4) Mix for 20 seconds/speed 9 & then for a further 10 seconds/speed 4. 5) Return to the freezer & allow to freeze for 8-10 hours before serving. Allow to rest, covered, in the TM bowl or Thermoserver, for 10 minutes before serving with rice or couscous. 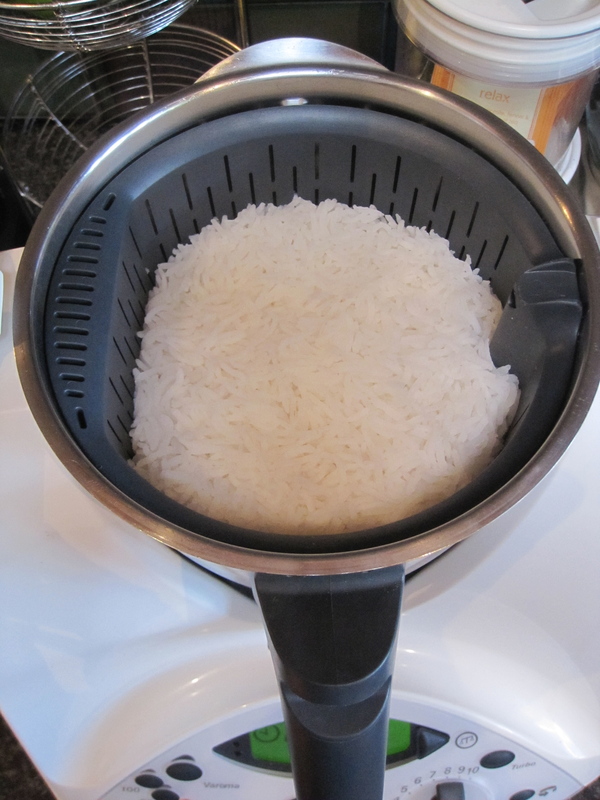 You can steam vegetables in the Varoma dish and/or tray, while you steam the rice, to make this dish go further. COOK PERFECT RICE – EVERYTIME! I’ve been making my own yoghurt in my Thermomix for almost two years. I’d always thought it was ‘too hard’ to try to make, but once I did, I realised how easy it really is. I had to tweak the recipe a few times, to find the best result. There are some major benefits in making your own yoghurt….. 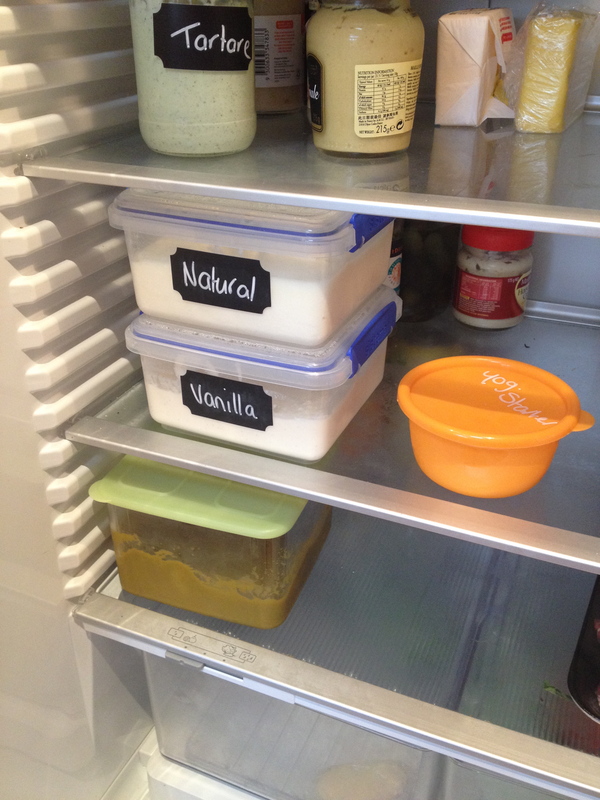 TASTE – my kids refuse to eat store bought yoghurt now, they prefer ‘Mummy’s yoghurt’! COST – as a family of 3, I save at least $400 a year on my grocery bill, by making it myself. 1) Add milk & milk powder to TM bowl, mix for 10 seconds/speed 7. 2) Heat 30 minutes/90 degrees/speed 3. 3) Place TM bowl in the fridge, so the milk cools to below 37 degrees. This can take from 45 to 80 minutes. 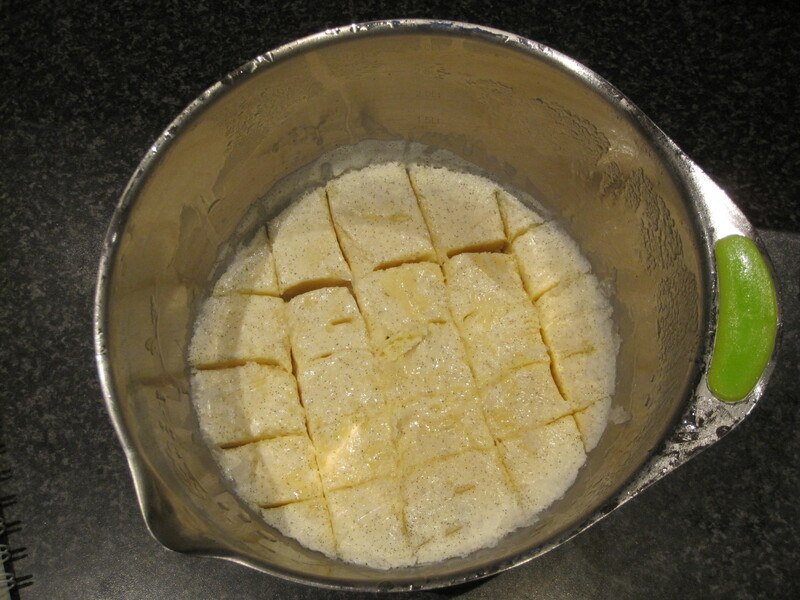 4) Once cooled, remove any skin that has formed on top of the milk. Meanwhile, fill your kettle with water & boil. 5) Add 3 tbsp yoghurt starter & mix for 4 seconds/speed 4. Heat 10 minutes/37 degrees/speed 2. 6) Pour boiling water into the clear Easiyo container & let it sit for at least 5 minutes. 7) Empty the boiling water & pour the milk mixture into the clear Easiyo container. 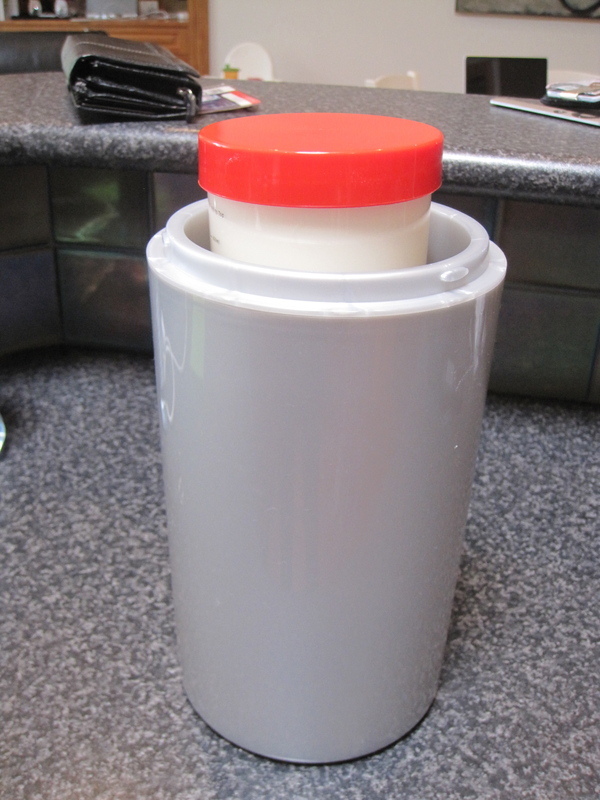 8) Place the clear container full of yoghurt mixture into the Thermos. DO NOT pour boiling water in the Thermos, so it surrounds the container (as the Easiyo directions indicate). 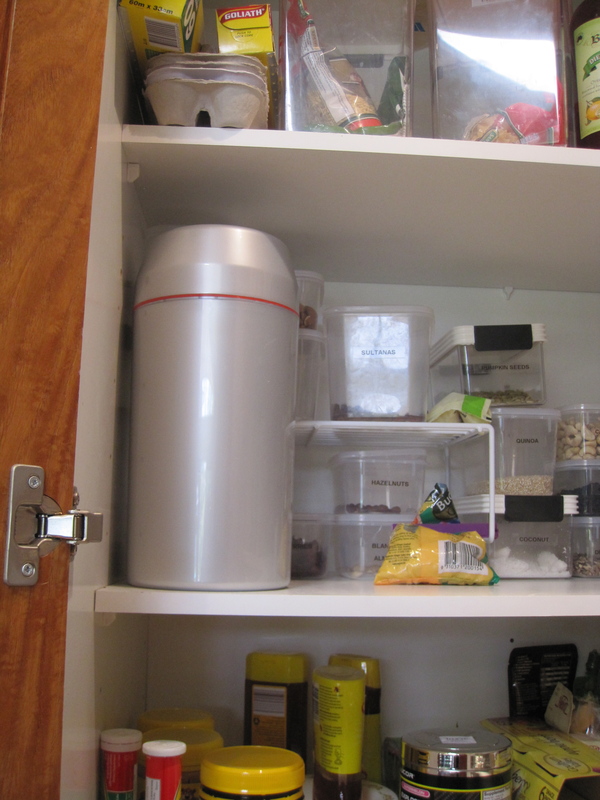 9) Place the Thermos is a place it will be undisturbed for about 12-15 hours. 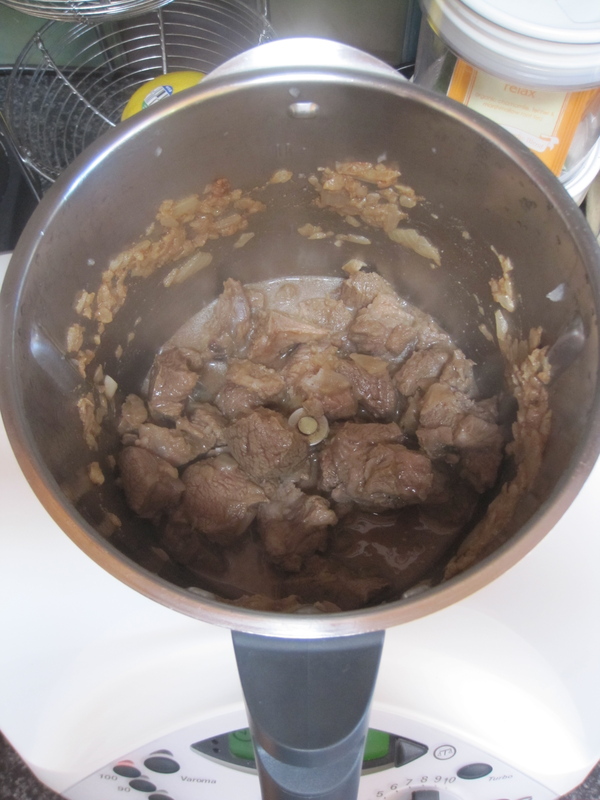 10) After 12-15 hours, remove the container form the thermos. 11) Before anything else, take 3 tablespoons of this yoghurt & place into a small container. 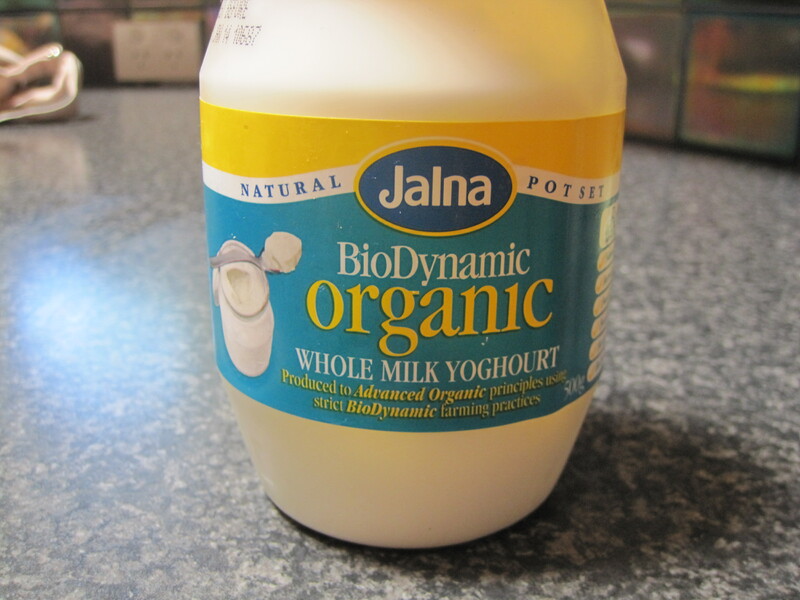 This will become your ‘yoghurt starter’ for your next batch, instead of buying it from the supermarket. 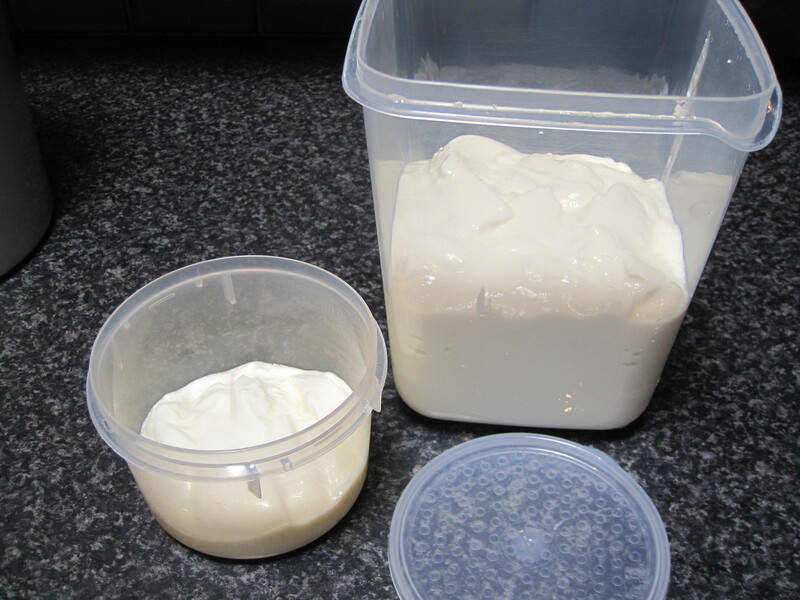 12) Pour the rest of the yoghurt into a container & refrigerate, along with your starter. Refrigerate the yoghurt for at least a few hours before eating. Your yoghurt will last 2-3 weeks in your fridge, but make sure you always use a clean spoon. You can also store your yoghurt in the clear Easiyo container in your fridge. To ensure your heated milk has cooled BELOW 37 degrees (step 3). TM31 – the 37 degree light does not light up. 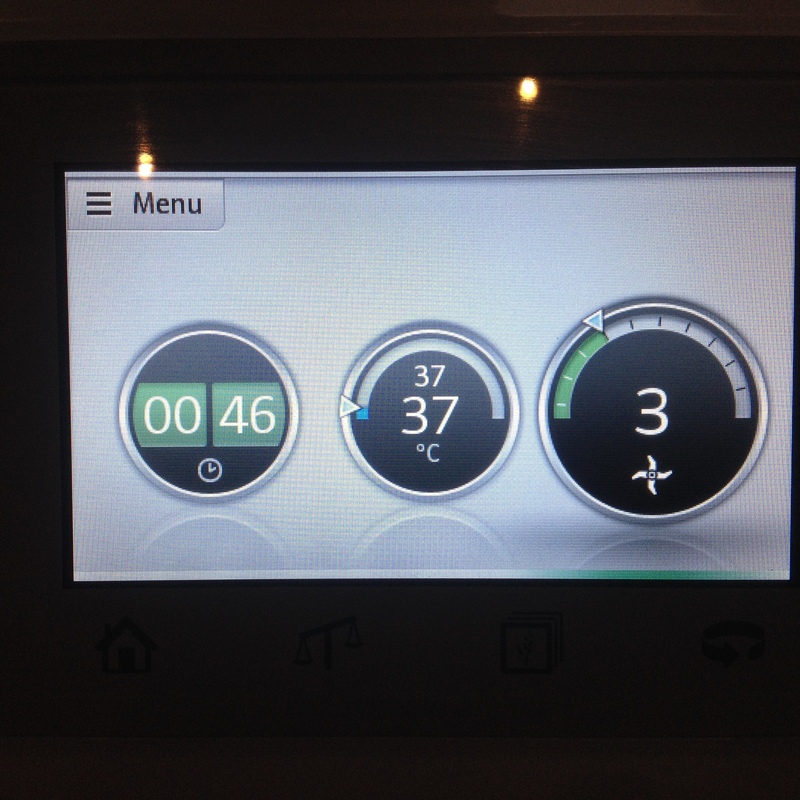 TM5 – the small 37 on the temperature setting (above the bigger 37) is no longer showing. So in these photo’s below, the milk has not cooled enough yet. EasiYo’s can be purchased at some supermarkets & places like Big W & Target. 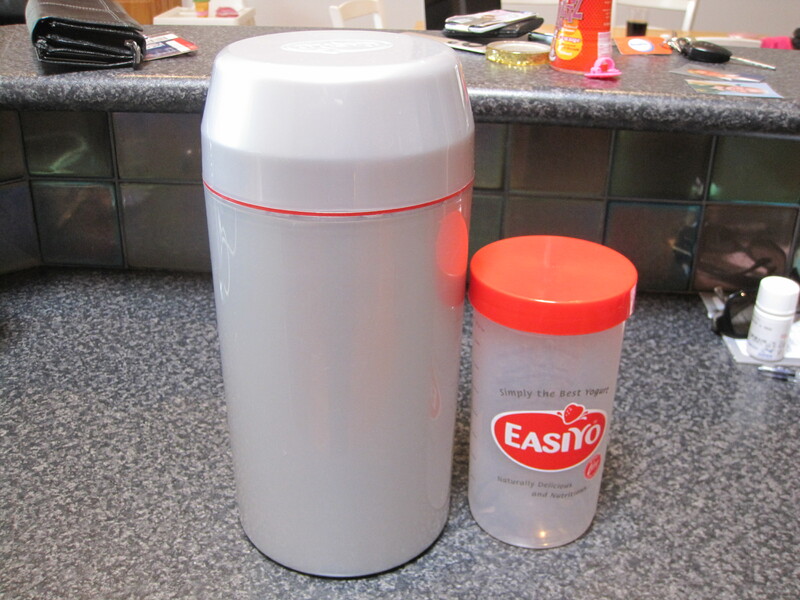 Fill the EasiYo jar with yoghurt & place inside the Thermos. DO NOT add boiling water to the thermos. Keep in a place where it will be undisturbed. I put mine on the top shelf of my pantry. Always take 3 tablespoons of freshly made yoghurt to use as the starter for your next batch. 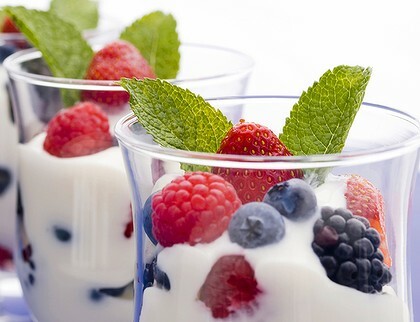 If you plan to flavour your yoghurt, make sure you take the 3 tablespoons for the starter first. If you’re making yoghurt for the first time, you will need to buy your natural yoghurt starter. Use a reputable brand & make sure it is pot set, natural & full fat. This is the brand I used, which I purchased from either Coles or Woolworths. Some people prefer to buy an organic starter from a health food shop. This is fine, however, many of the supermarket yoghurts are fine to use (& much cheaper). You don’t have to add powdered milk – if you don’t, you will need to let your yoghurt sit for a much longer period of time in step 7. If the yoghurt you make is too sour, let it sit in the thermos for less time when you make your next batch. The longer it’s in the thermos, the more sour it will be. I did try making yogurt with low fat milk. The yoghurt sets the same as full cream milk, but I found the flavour wasn’t there. It was so bland, I can imagine you would need quite a lot of sugar. I can now really appreciate why dietitians warn to look out for added sugar in low fat products.